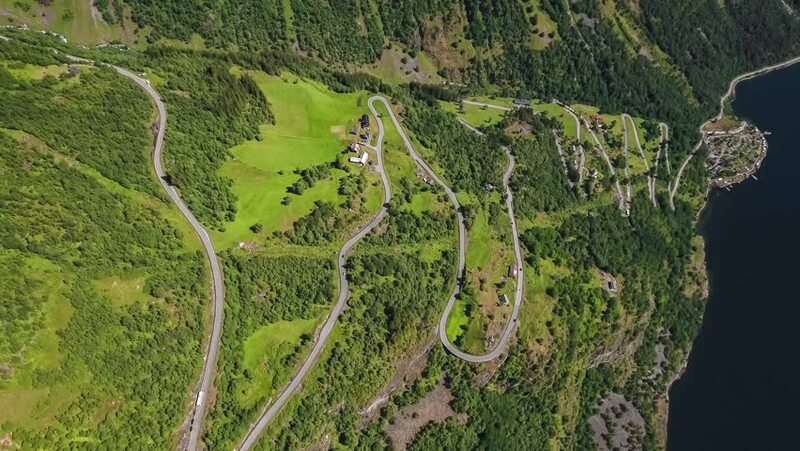 Serpentine road Geiranger fjord, Norway. hd00:40Crested wood fern (Dryopteris crostata) growing near a small forest river. Early summer in Finland. 4k00:27Flight on the drone over the forest and small river.